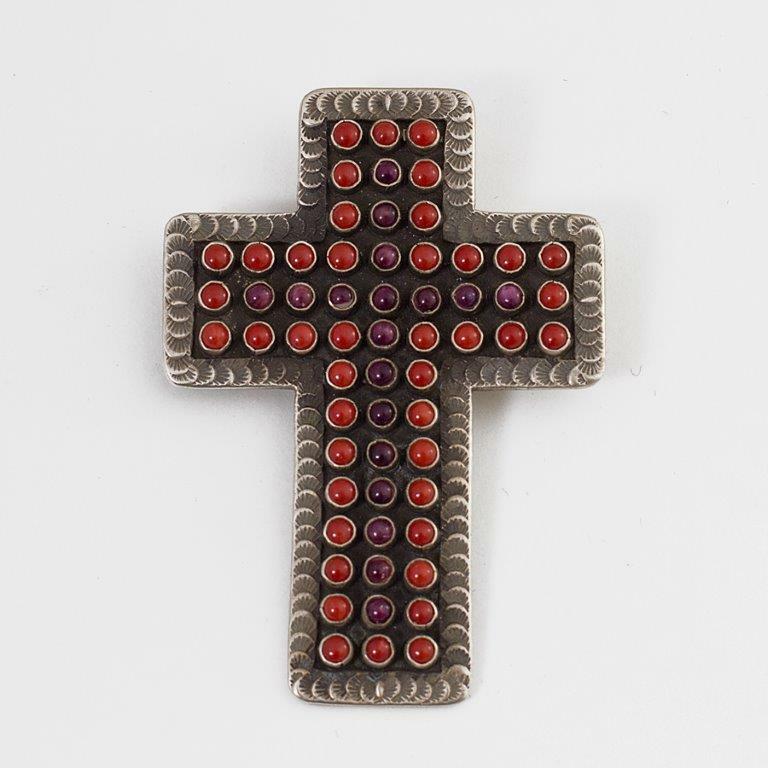 The unusual color combo of red coral and purple sugilite in this traditional style cross lends a jewel-like tone that works for formal or casual wear! A shepherd’s hook on the back of the cross will slip over beads or a chain. 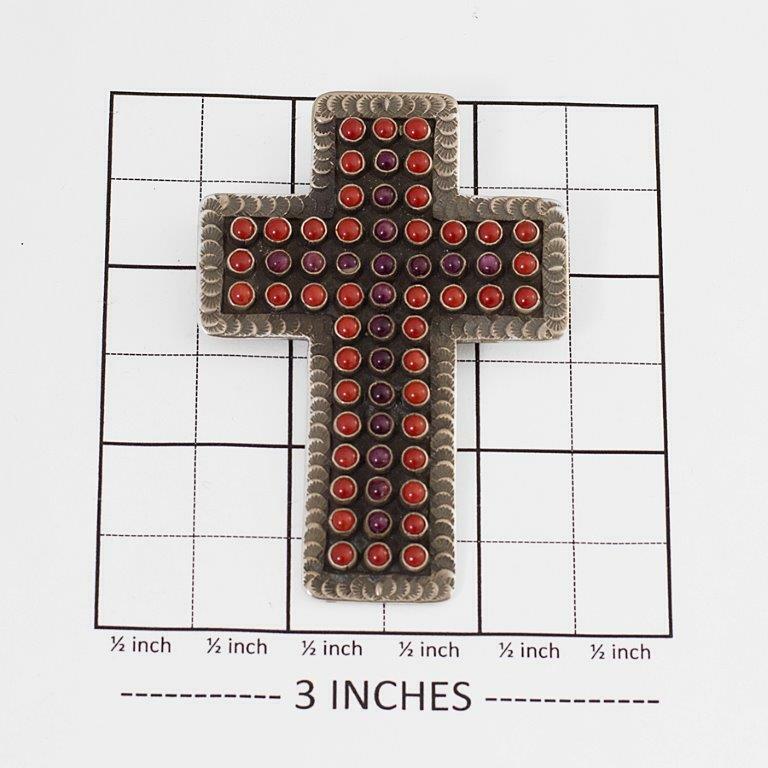 The cross measures 2 7/8 ” by 2″. Navajo handmade by Martha Charley. Hallmarked “MC” and “Sterling”. Weighs 29.2 grams. Martha Charley Coral and Sugilite Cross displays alluring reds and Sterling Silver. Handmade by a talented Native American Silversmith of the Navajo tribe.